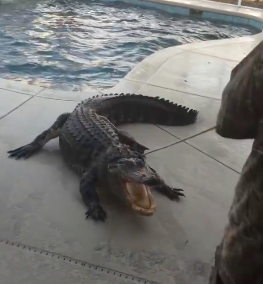 A Florida man was letting his family cat out when he found an uninvited visitor in his pool – a 9-foot, 300-pound alligator. Craig Lear said he saw bubbles coming out of the deep end and assumed it was a golf ball that ripped through the patio screen, but when he looked, he saw a massive, massive alligator, the Daily Mail reports. After making sure his three cats and son were accounted for, Lear called in a 13-year Indiana Jones-esque veteran alligator trapper – who lassoed the beast in his bare feet. I don’t think there are any words to describe how you feel when you come home and see a nine-foot gator in your pool. At one point, waves were rocking in the pool from the gator thrashing around but then the trapper tired him out and hauled him out the door. At any point, I thought, if that lasso comes off… that gator could slip right outta that pool and we were gonna have a problem. If you ask me, that trapper has serious balls. 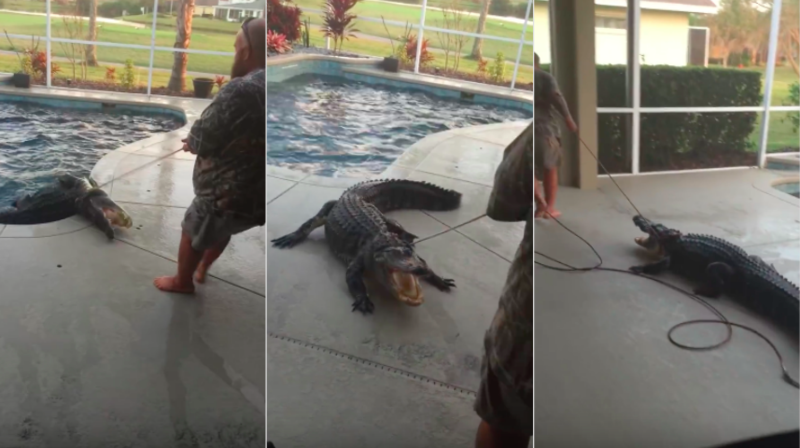 Who lassoes a 300-pound reptile, never mind in bare feet? 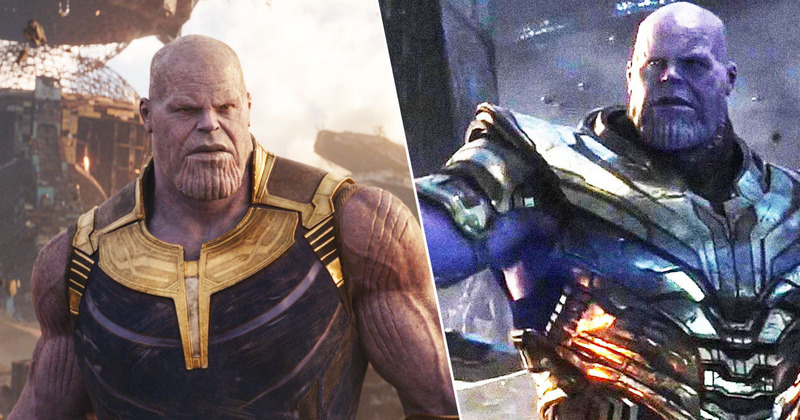 Absolute badass. I probably would have just let it stay in the pool though… No thank you!